The Gildan Ringer tee has been a favorite for decades. This sporty ringer is perfect to customize for your team or sporting event, or simply for everyday! Do you and your college buddies play Edward 40 hands? Get a cool t-shirt to show that you're the champ! 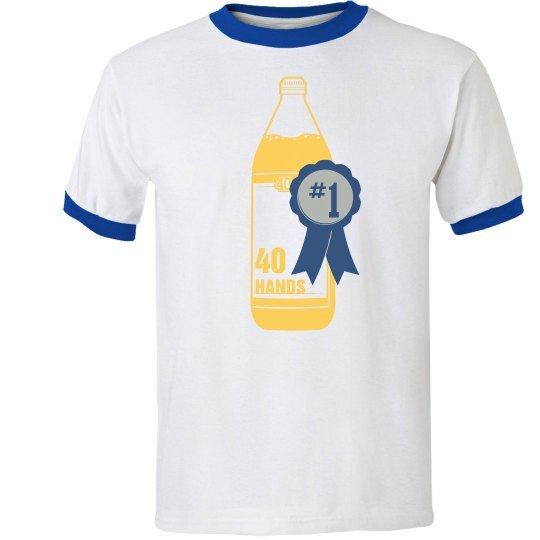 You can chug those beers fast so you deserve a cool t-shirt.